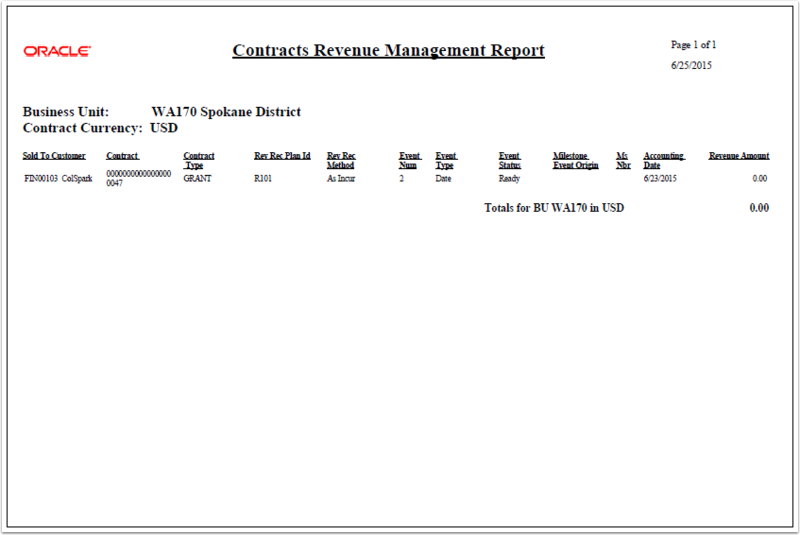 Purpose: Use this document as a reference for running the Contracts Revenue Management Report in ctcLink. 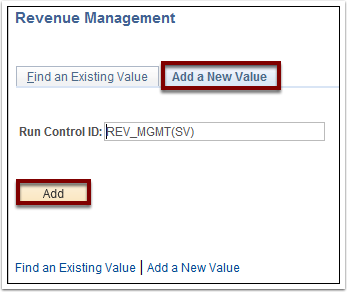 Enter an existing Run Control ID or click the Add a New Value tab on the Revenue Management page to add a new value. 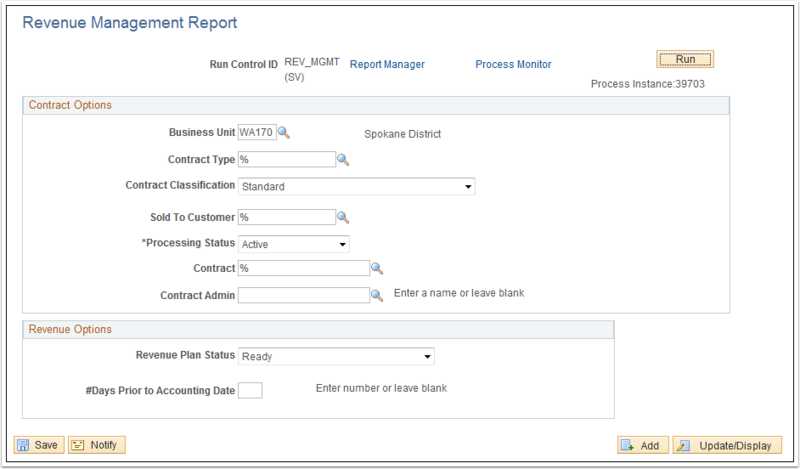 Use the Revenue Management Report page to enter the request parameters. These parameters will be used to define the processing rules and data to be included when the process is run. 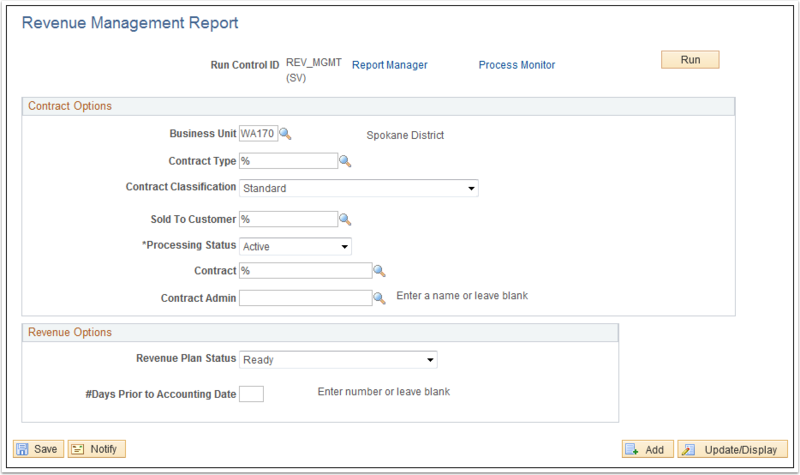 Enter or select a business unit in the Business Unit field. 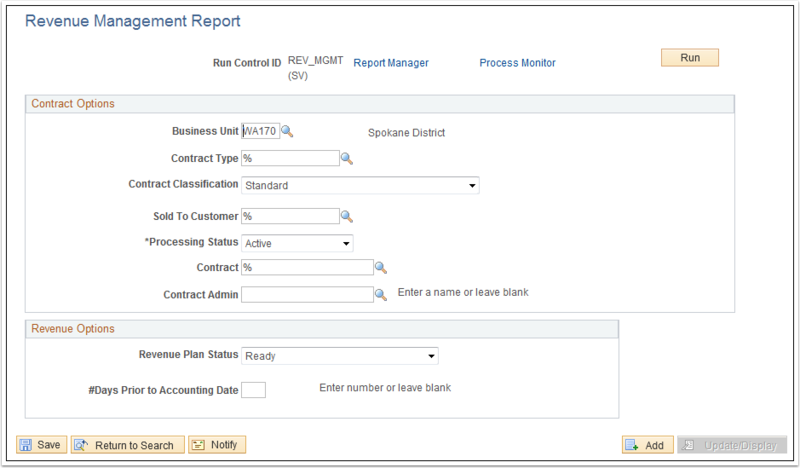 Use the Revenue Plan Status drop-down button to select the ‘Ready’ option. Note: The Server Name field can be left blank. Click the Go back to Revenue Management link. 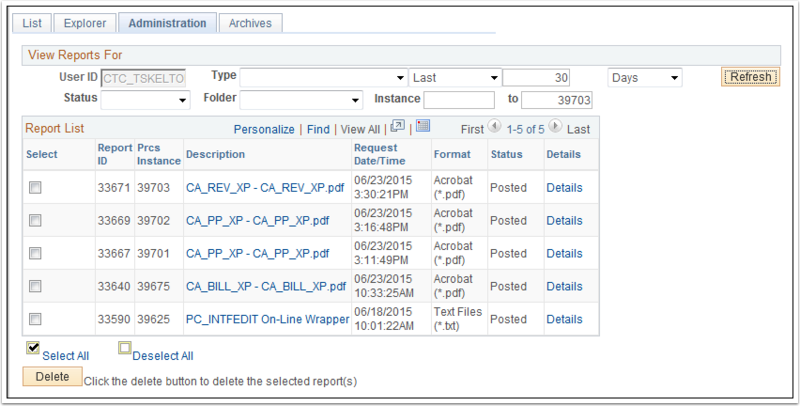 Click the CA_REV_XP – CA_REV_XP.pdf file in the Description column. Review the Contracts Revenue Management Report.